Having a personal MP3 collection on your smartphone is convenient, but there is a limit to how much music you can fit onto your device's internal storage or microSD card, and music streaming services are the way forward. Spotify currently dominates this market and includes a much more competitive family sharing package, but is it the top dog? Here we compare the best music streaming apps for Android. Apple Music is a recent competitor in the music streaming sphere, released on June 30, 2015. But Apple already had a great pedigree with regards to music services, with the iTunes store having been successful for more than a decade. Though the iTunes store offers in excess of 43 million songs, its streaming service offers a little less, at around 30 million. Apple Music isn’t just for Apple users, with a Play Store App now available. It allows Android users to stream its immense catalog and comes with some unique extras such as Connect, a blogging feature that seeks to bring artists closer to their fans, allowing them to share music, videos and photos with followers. Apple Music also includes the Beats 1 internet radio station, which plays continuously in more than 100 countries. It might be too early to tell if Apple Music will be a big hit, but with a huge catalog, three-month trial period and all of the major features nailed, there's no reason why it wouldn't be. Spotify offers a free, ad-supported streaming service in addition to its paid subscription. A great aspect of this is that you (currently) get access to the same content whether you pay a subscription fee or not, but that might change. Spotify might restrict new album releases to paying users. The main downside to the free service in comparison to the paid is the audio quality, the ads, and the ability to use it offline. The Spotify Android app is perfect for mobile because it allows you to download any song in the catalog for offline listening on your device. There is also a web-player and desktop app, and all your content and playlists are synced between them. Spotify's radio and discovery algorithms are also extremely clever and are what makes Spotify's personalized playlists (Discover Weekly), delivered every Monday, worth checking out. Furthermore, Spotify was recently updated with a better family-sharing subscription model so that, like Google Play Music and Apple Music, it now provides family sharing for six accounts at a cost of $15 per month. What began as a simple music player app is now a full, commercial streaming package with more than 35 million songs available. Unlimited access to Google Music costs the same as a monthly Spotify subscription, but the key benefit is that it also includes access to YouTube Red, so you also get access to Google's YouTube video content ad-free, as well as offline and background playback, and original films and TV series. Soundcloud is a different breed of app which has a well-deserved place on the list of top music streaming apps for Android. Its aim is to bring independent artists to the forefront. While the app is free, there is a paid version (Soundcloud Go) with no ads. Artists pay to put their music online, a practice that comes from music producers needing a platform to exchange and collaborate on songs from a distance. Users can listen and comment on tracks, share them with others, and sometimes download them if the artists allow it. Soundcloud is ideal for those who like to discover new artists before anyone else. You can register on Tidal with a credit card or a PayPal account. The service offers a basic subscription for $9.99 per month, and a Hi-Fi (high fidelity) version which costs $19.99. The 30-day free trial is the same as the others, except that you can play videos. The Hi-Fi mode is also available for testing, although it is mandatory give them your credit card details. The interface of the application is intuitive and full of interesting features, like TIDAL Rising, a music discovery guide. Even though YouTube Music does not announce hard figures for the total size of its library, it has all the music you could ever want. The big advantage of YouTube music over some of the competition is the amount of exclusive content it has. Sure, every streaming platform on the planet has the new Arctic Monkeys record on there, but how many have that live performance from Lollapalooza Argentina 2019? Only YouTube can deliver that. The app and system UI is not as neat and tidy as the competition, and the subscription mess between YouTube Premium and YouTube Music (YouTube Premium includes all of the YouTube Music Premium features, plus more for just $2 more a month) is confusing, but often this is the only platform to find the tracks that you want to listen to, and that's a huge advantage. So which music streaming service is best? Let's quickly wrap them up. Google Play Music also offers valuable extras. Everybody makes use of YouTube, and the opportunity to get even greater access to it, in addition to a 35 million-song library, is mighty tempting. Apple Music is all about the music. You won't get any TV or video streaming benefits here, but you will get one of the biggest music databases and an intuitive interface to discover new music. Then there's Spotify. Spotify just works. 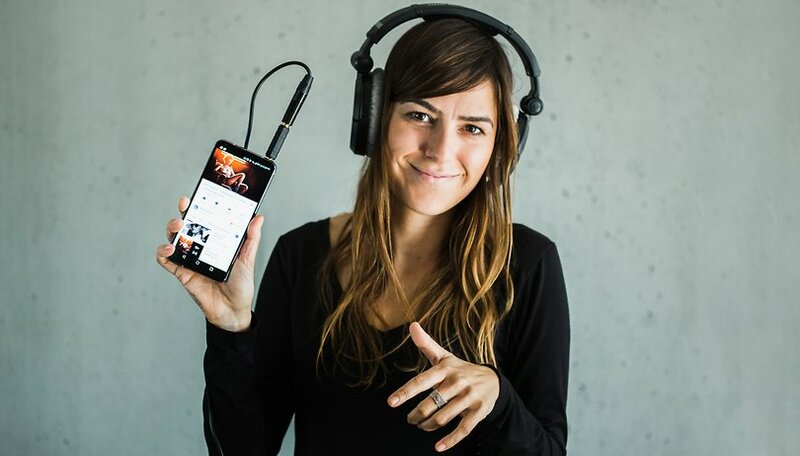 It provides high-quality audio playback, it seamlessly syncs between devices, and it's perfect for parties and sharing because most people are familiar with it already. Soundcloud is very hip, and free. If you're into independent music, this is what you'll want to try. Tidal is for audiophiles who are willing to pay a price for high fidelity. Or just casual fans of Beyonce's Lemonade album. Amazon is possibly the worst as a pure music streaming service because its catalog and family-sharing features are limited, but it arguably has the best extras with Prime membership: no other service offers access to movies, books and free shipping from an online store. Deezer is similarly uninspiring. YouTube Music is great for exclusive content, especially live performances and one-off gigs and shows. What do you think is the best music streaming service for Android, and why? Let us know in the comments. Regarding these apps only in Chinese, wouldn't Google Translator solve that problem? Sad thing is Google play music doesn't work in India. Spotify and Tidal haven't launch their service too. Last I checked, you can buy albums from GPM India. I use google play in India without issues. Is it the best music streaming app? I am using Google Play Music. It depends on your preferences. Google Play Music is great, but I prefer Spotify because of its user interface. Usually I am not one to bother commenting on posts like this, Im more of a lurker. I set up a 3 month trial with Google Play music as I bought a Nexus 5x device and, well, frankly, it's balls. I live outside the US and guess what.. for whatever dumb licensing restrictions that escape me, Google don't let me use YouTube Red outside the US. Yet another instance of a high tech company completely ignoring the 95% of the population outside the 5% of idiots that are almost going to let Trump become president.. I don't really like the GPM interface that much either, and it crashes frequently on my Nexus which is pretty retarded. I wanted to make it work, I really did - but I think I'll have a better chance with Spotify..
"Prime Music can only be shared between the two adults sharing the Amazon Prime account." This seems to be incorrect as there doesn't appear to an actual way to share this. Unless you can describe how I am wrong you probably should correct the article. I don't agree with The best title because one should test it for themselves and see what's their own best app or things are and the best title seems not to be fair and it seems to spread false news because by seeing it people opinions change. I'm confused. My wife has amazon prime. How can I use her membership through my app with my login? BEST TIP EVER: ( SOME MUSIC APPS WITH TRILLION OF USERS)IF YOU WANT A NON FREE TRIAL AND FOREVER FREE MUSIC STREAMING APP,YOU GOT THE RIGHT PLACE. YOU KNOW ALIBABA,THE CHINA E-COMMERCE GIANT, RIGHT? THEY OFFERED SOME MUSIC STREAMING APPS THAT IS COMPLETELY FREE AND PACKED WITH TON OF FEATURES SUCH AS KUWO MUSIC, KUGOU MUSIC ALIBABA PLANET & MORE. THEY ARE FAR MORE USEFUL THAN SPOTIFY OR WHEREVER APPS. IT CAN LET YOU LISTEN TO STORY RADIOS, COMMUNITY RADIOS, HUMOR RADIOS AND MORE. FREE. WITH THESE MUSIC RADIOS OFFERED COMBINED THEY ALMOST HAVE 3 TRILLION USERS. WAIT... YOU CAN ONLY DOWNLOAD IT IF YOU KNOW HOW TO READ IN CHINESE. IT'S WORTH TO STUDY CHINESE, SINCE THEY ARE REALLY COMPLETELY FREE AND ALL MUSICS ARE AUTHORIZATION PASSED. WELL, THEY HAVE VIP PACKAGES DUE TO THE FACT THAT SOME MUSICIANS NEED TO EARN MONEY. THEY RELY ON ADS TO SUPPORT THEM, ON PCs. THE MOBILE VERSION OF THESE APPS ONLY HAVE 2 TO 3 ONLY-BANNER ADS ON THE ENTIRE APP. And all the spyware you don't want!! Is it worth studying Chinese just to save ten bucks a month? What planet do you think we're from? Having used Spotify and Google Music on both paid for individual plans I found Spotify restricted as as soon as I had added 100 albums in my account it said I had reached my limit for downloads to play offline. So I had to undownload albums and delete some. So I went to Google Music which I had used before and not found it so restricted yet. I have also got audio plays and other audio stuff on memory card which Google Music plays for me too. Does anyone know if such a limit of downloads exists for Google Music? I do like Google Play Music for their own music and it allows me to "upload" the music I have from my own computer (I went back to the free version temporarily). Most of my music is "uploaded" and I have also "downloaded" a lot of music from their site as well (purchased or free). The only restrictions I've found are that you can only "upload" from your computer about 50,000 songs, but I have over 200 albums downloaded from them and haven't seen anything about a restriction for downloads. After I read your note, I reviewed the Google Play Music info and can only find "unlimited downloads" if you pay for their service. Now, I've just glanced over everything but I didn't notice any album/song download restriction, but as I said I glanced over it.